Robert Bittlestone was educated in classics and science before reading economics at the University of Cambridge. In 1979 he founded Metapraxis Ltd with the goal of helping large complex businesses improve their management information and board reporting. Today Metapraxis is a leader in strategic planning, financial analysis and data visualisation. 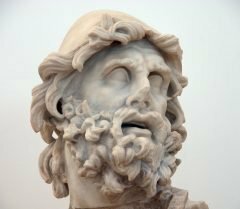 Following publication of Odysseus Unbound: the Search for Homer’s Ithaca in 2005, Robert had been in the forefront of the search ever since, until his untimely death. The brilliant work that he began is now being continued by his colleagues and associates. 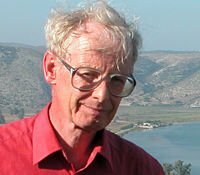 James Diggle is Emeritus Professor of Greek and Latin at Cambridge University and a Fellow of Queens’ College. His publications include The Oxford Classical Text of Euripides (Oxford, 1981-94), Euripidea: Collected Essays (Oxford, 1994) and Theophrastus: Characters (Cambridge, 2004). He was University Orator at Cambridge for eleven years and has published a selection of his speeches in Cambridge Orations (Cambridge, 1994). 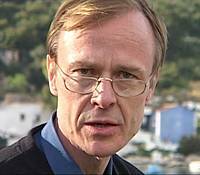 He is a Fellow of the British Academy and a Corresponding Member of the Academy of Athens. John Underhill is Chief Scientist and Chair of Exploration Geoscience in the Applied Geoscience Unit, Institute of Petroleum Engineering, School of Energy, Geoscience, Infrastructure & Society, Heriot-Watt University, Edinburgh. His primary research interest lies in the use of geological fieldwork and geophysical methods to investigate the structure and stratigraphy of sedimentary basins. He has been investigating and elucidating the geology of the Ionian Islands of western Greece since 1982. He is a Fellow of the Royal Society of Edinburgh. He also refereed professional football matches and was on the FIFA List of International Referees. Elias Toumasatos has studied Law and Theatre Studies at the University of Athens. He is a PhD candidate of the Ionion University at the Department of History, and a grant holder of the Sp. Antypas Scholarship. 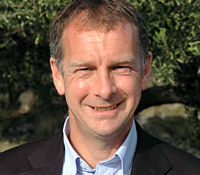 He is currently the director of the Corgialeneios Library in Argostoli, Kefalonia.